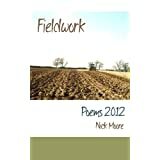 I’ve written poetry for as long as I can remember, but only plucked up the courage to ‘go public’ in 2009. I write about the things I see and think about while I’m riding my bike or walking the dog around my home in Sussex. Nothing very profound, but I have fun writing them. Although my poetry is strictly a labour of love, I’m lucky enough to use words to earn a living, too. I’ve been a freelance copywriter since 1999 , working with various ad agencies and my own direct clients across the south of England and beyond. My first book, Mindful Thoughts for Cyclists, was published in the UK and US by Leaping Hare Press in 2017. My work is yours to enjoy absolutely free, but if you share it with others, please let ’em know where you found it. Thanks for reading. Thank you, David – great to have you on board! I’m settling in for a good read 🙂 Just thought I’d let you know that you can add a link behind your name for when you leave comments so that blog writers can find you? I think it’s in settings or something… but a fellow Sussex writer? That is lovely. Hopefully I’ll see you at one of the open mics one night? Haha. Thanks for the tip – I’ll investigate right now. I’m just up the road from you in Uckfield, so I’ll definitely get over to your open mic as soon as I can. Wonderful to hear from you; I really love your work. Hi Eliza – great to see you! Thank you for taking the time to read and comment; I shall return the favour at once! Hope you don’t mind if I put you on my blogroll. Hi Linda – many thanks for taking the time to visit. And of course, I’m delighted to appear on your blogroll – thank you! Hey BP, thank you – that’s very sweet of you. I’ll return the favour! That’s wonderful – thank you so much! Those parasol mushrooms! Lepiota procera… deliciously edible. I’m so jealous! I know how to cook them so they come out with the texture of puff pastry. Ethel and I have nominated you for a Versatile Blogger Award. You’ll have to go to fourwindowspress if you don’t know about it, and if you follow the instructions you’re a winner. We are mainly trying to let you know how much we honor you and your work, so you may or may not chose to accept the award. That’s up to you, but we certainly think you are worthy of more than this one gesture of thanks for you and your poetry. I commented on your “Letting Go” poem and put a PS saying I made a mess of nominating you for The One Lovely Blog Award and consider yourself nominated. I’ve given it a new page all to itself…do go and have a look. Nick, this is my first visit, after several mentions from my hero Thomas Davis, who says you’re the sonnet man. Julie and I are new-found bosom buddies, so I think I’ll follow her lead and “follow” you. I’ve only a done a few sonnets–they’re not bad, and I enjoyed writing them. Wishing you all the best–God bless you abundantly. Thomas is my hero too – he’s a great source of inspiration and encouragement. Writing sonnets is pretty new to me, really, but I’m having a great time learning the craft! Thanks so much for your visit. N.
And you know that you won’t get very far. I do hope you don’t mind (and that it won’t be classed as ‘pinching’), but I read ‘I am one acquainted…’ at a funeral recently. Stan was a passionate cyclist all his life, until alzheimers sadly robbed him of his sense of direction. The family thought it was beautiful, so I have directed them back to your blog as the author. Sussex is beautiful – I have fond memories of Lewes and Brighton just over a year ago. I imagine both would be perfect places for poetic reflection. Hi Clare. Thank you so much for your comment; made me well up a little, too! I’ve had a look at your blog and I’m struck by the similarities in our experiences. As you’ll have read in the book, I was a high-mileage roadie for many years, until my knee packed up when I was 40 (almost nine years ago now). My current rides are a Merida cross bike with discs and 35mm Marathons; a Ridgeback rigid 29er with slicks and a Shimano Zee 1×10 set-up; and, as of today – well, all will be revealed very soon! I also notice that I’m not a million miles from you (I’m in East Sussex) and used to ride with a bunch of guys from south London, so know the area: maybe I’ll join you on an adventure one of these days – if I’m feeling brave enough, that is! Thanks again, and keep in touch. Nick.